Academics are being urged to reject calls from colleagues for a boycott of Israeli academic institutions. The University and Colleges Union is debating a motion that academics should consider the "moral implications" of links with Israeli universities. The proposal condemns Israel for its "denial of educational rights" for Palestinians, citing invasions, curfews, checkpoints and arrests. 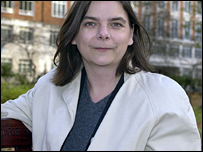 But Sally Hunt, UCU's new general secretary, criticised the demands. The motion has been proposed by the UCU's East London and Brighton branches and will be debated on Wednesday at the union's annual conference in Bournemouth. It claims Israel has denied Palestinians their right to an education "by invasions, closures, checkpoints, curfews, and shootings and arrests of teachers, lecturers and students". It argues that, in these circumstances, "passivity or neutrality is unacceptable" and calls for a debate on a potential boycott. The full text of a call from Palestinian groups for an academic boycott of Israel should be circulated to universities and colleges, the motion says. Tom Hickey, a philosophy lecturer at Brighton University, who is proposing the motion said: "Nobody would want to take such a step lightly. It's only because we think there's very special circumstances here. "I want a debate in our UCU branches and our associations up and down the country over the following year." But Ms Hunt called on other UCU members to reject the motion. "I simply do not believe that the majority of UCU members support an academic boycott of Israel or that they believe it should be a major priority for the union," she said. "Most want us to retain dialogue with trade unionists on all sides - not just those we agree with. "It's the approach we have in Zimbabwe and Colombia and it's the approach I think we should have here. "We in this room - including me - do not have the monopoly on wisdom. "We know that a lot of the best ideas come from our branches and we must take advantage of that. Everybody has a stake in building our new union." Delegates at the Bournemouth conference will also voice concerns over increasing racial intolerance in universities with rising anti-Semitism and Islamophobia. UCU replaced the academics' union AUT, which passed the original Israel boycott motion, and college lecturers' union Natfhe after a merger last year.